While the trend of grocery-anchored shopping centers continues to sweep the nation, there is an undercurrent of co-anchoring where more than one store holds similar size space in a retail development. In part, this is because many stores, even grocery stores are turning to smaller format stores. CCIM Institute credits e-commerce as a driving factor for retailers to shift formats, looking to “right-size” or downsize their footprints. Combined with department store closings over the past decade, CRE owners are repositioning and renovating shopping centers to offer square-footage that is more in line with these retail trends. Several Regency Center projects recently completed, and in-development, reflect the new face of shopping centers. What this looks like is a center where co-anchoring and grocer-anchored strategies are helping fill vacancies and draw shoppers from surrounding communities. Groundbreaking for Mellody Farm in April 2017 paved the way for over 272,000 square feet of retail space located in the Chicago metro area. Business Wire reports that while Whole Foods occupies 45,000 square feet, Nordstrom Rack, REI, and HomeGoods together as co-anchors account for another 95,000 square feet. The discount clothing and furniture stores complement the grocer, together making Mellody Farm a likely destination for three-miles of demographics with average household incomes of $130,000. In similar strategy, the redevelopment of Old St. Augustine Plaza in Jacksonville, Florida includes three major retailers occupying at least 50,000 square feet each. The anchor grocer Publix occupies $51,832 square feet, while Hobby Lobby and Burlington Coat Factory also take up substantial square footage at this center. The popularity of grocer Wegmans continues to rise as evidenced by their anchor position in more retail development projects across the country. Margaret Caldwell of JLL explains how replacing a department store with a grocery store as anchor or co-anchor can contribute to higher value portfolios, considering grocery stores generally pay higher rents than department-store tenants pay. It is no surprise, then, that another Regency development, The Field at Commonwealth, anchored by a 120,000 square-foot Wegmans Food Market, continues to attract other retailers to this vibrant retail corridor in Northern Virginia. Another favorite among American shoppers, Publix Super Markets, continues to attract the eye of retail developers like Regency Centers. 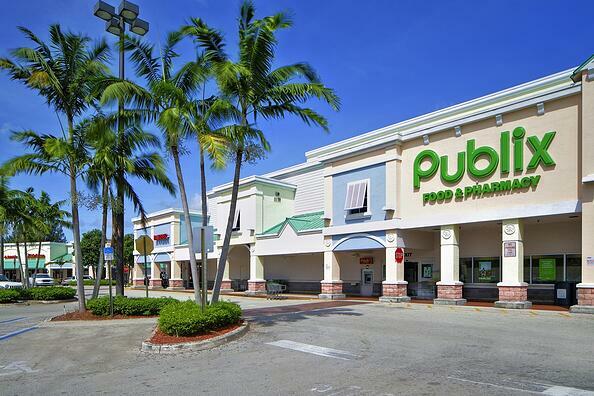 In the redevelopment of existing centers like Countryside Shops in Cooper City, Florida, Publix and co-tenant Stein Mart expect to experience success in serving an affluent area in Broward County. As the retail industry continues see an uptick in various growth indicators, grocers like Wegmans, Publix, and Whole Foods can bring added stability to new shopping centers and fresh, new shoppers to redeveloped centers. However, in many retail development projects throughout the U.S., more than one big retailer may be waiting to fill more than one anchor spot.